18ct sapphire and diamond ring. Product code: 375 Categories: Sold Items, Sold Rings. This is a lovely ring made in 18ct gold and set in a triple cluster design dating from the 1890’s. 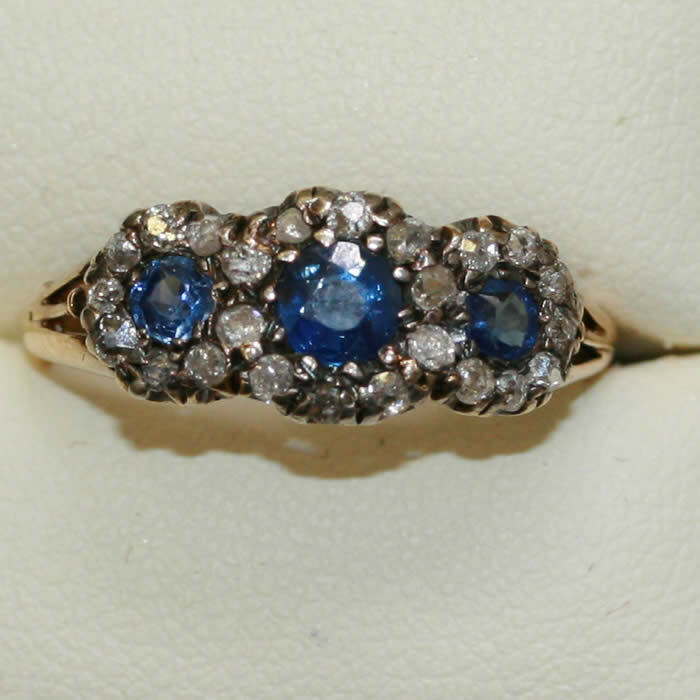 Set with 3 lovely sapphires and surrounded by 24 rose cut diamonds, this has all the charm of yesteryear. A wonderful looking ring that will sure to delight the new wearer.